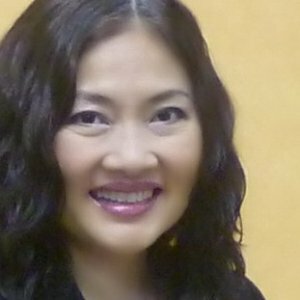 Pamela Hongsakul is a confidential leadership coach and marketing and media consultant who has committed to projects which benefit society. Clients have achieved positions of: Asia Regional Director, Governor, Minister (4), and Prime Minister. Pamela's first career was as a social worker in Texas, working with juvenile delinquents, abused children, and indigent families. Concurrently, she produced public access TV shows and assisted the campaign of the Texas State Attorney General in his bid for Governor. 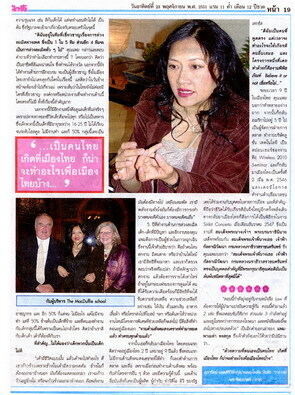 Pamela first came to Thailand in 1990. She helped to establish TST Entertainment, the producer of the Miss Universe Pageant in Thailand - and personally managed the Asian Open Snooker 1992, which aired globally on ESPN. Pamela went on to execute projects for Coca Cola, Honda, Monsanto, and Lucent Technologies - and eventually joined Lucent’s global events team in New Jersey. Returning to Thailand again in 2004, she continued her marketing and media career but also joined 'the family business'. The Hongsakul family tree dates back to Chaophraya Chakri Pao of Ayudhaya in the time of King Thaisak, in 1728. Her grandfather, Mahasevogtri Phraya Pitaks Thep Montien served King Rama V, King Rama VI and King Rama VII. Her uncle, Air Chief Marshall Harin Hongsakul was President of Parliament during the 1980’s and her aunt, Pavena Hongsakul is a former minister and was a front runner for Governor of Bangkok in 2004. Pamela has been quietly supporting the development of a new generation of leaders, and has advised junior and senior level MPs from several parties. In 2007, she launched Law Magazine, "the ultimate insider analysis written by the leaders, for the leaders”. Law Magazine now circulates to all the major government groups, foreign embassies and chambers and international agencies and media organizations in Thailand – and is poised to soft launch its first international edition. Pamela aims to infuse the next generation of leaders with the passion and skills for service to society. It's the accomplishments of the people whom I support that are impressive. I'm just the wind beneath their wings. One executive doubled the countries under his control after one weekend. One politician became Bangkok Governor. Four leaders became ministers. One became Prime Minister. Leaders of all fields (politics, business, art, and society) have their eye on the same goal: The Top. But at a certain point in your career, you realize that your competitors all have the same level of ability, education, and experience. So how do you break away from the crowd? How did the Greats chisel the statue of David or discover the earth was round? Picasso, Aristotle, Einstein, Cleopatra? The icons of past and present all share one thing - they used their instincts - and the best ones developed their leadership instincts through spirituality. Bruce Lee once noted: "When an opportunity in a fight presents itself, 'I' don`t hit, 'It' hits all by itself." This topic can be presented as a Keynote Speech, a 1-Day Workshop, or a weekend Executive Retreat. Workshop participants will learn Mind Control and Meditative Techniques. Retreat attendees will benefit from Team Building and Inner Focus activities.